I've done it. I made the decision. To St Louis I go. I'm all the way in Chicago. And so begins my two weeks of hellish moving and tearful goodbyes. I have a house to sell so I need to prepare that as well. I'm doing this alone and I have no idea what I'm doing. 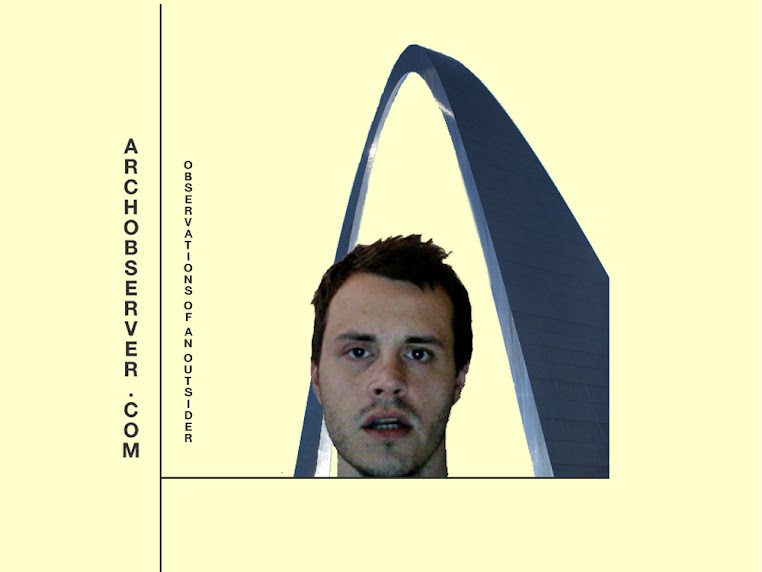 Welcome to the Arch Observer. rock on man. moved to bangkok, never left the lou before that...gotta kick it, when you gotta kick it.